Learning is never boring at our Discovery Centre. 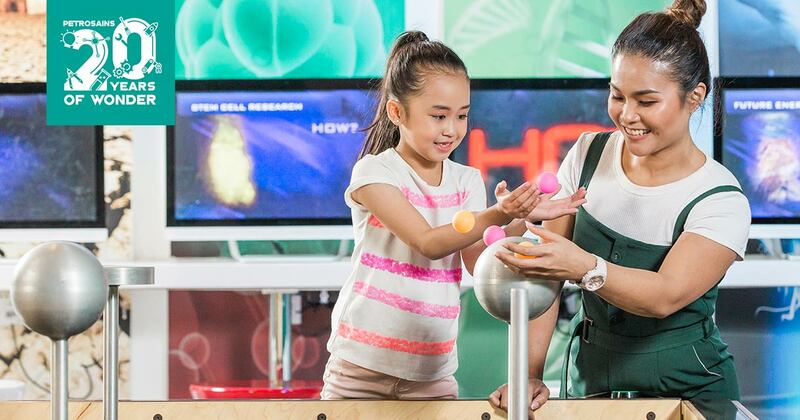 Touch, feel and experience discovery like never before with our interactive exhibits, and come face-to-face with science in delightful new ways through our ground-breaking activities, workshops and shows. 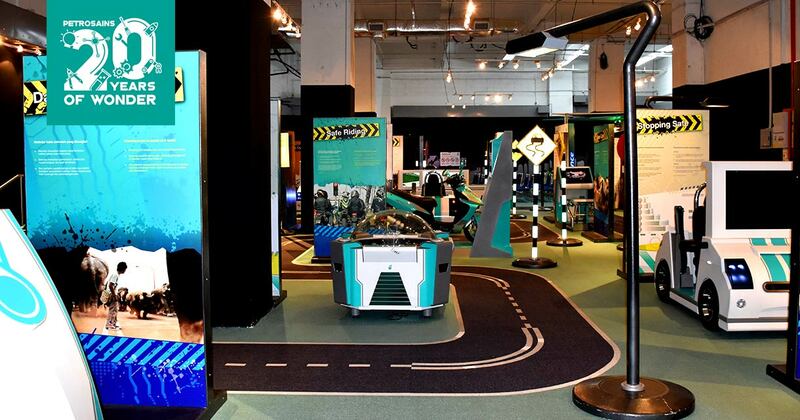 Plus, with our travelling exhibits and special themed events, there’s something new to discover every time! Need to recharge after a fun-filled day of exploration? Refuel at our café, and remember to take home a piece of Petrosains from our gift shop. Note: We will be closed on Hari Raya Aidilfitri and Hari Raya Aidiladha. 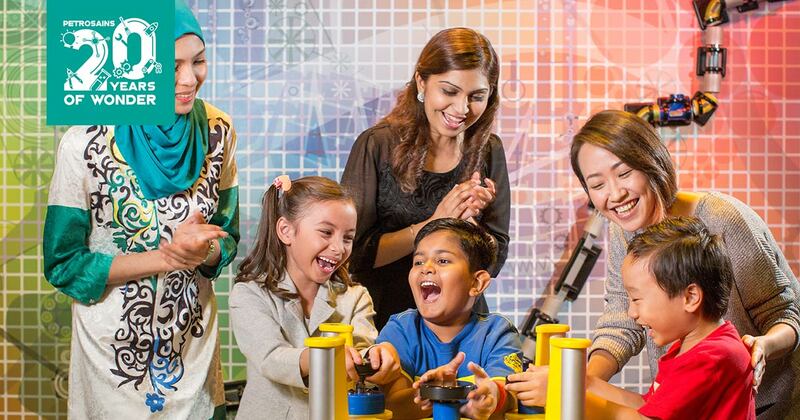 * Petrosains operates on a time ticketing system where visiting slots are limited depending on time slots to ensure the convenience, safety and visitors are able to fully experience our interactive learning offerings. Note: For group purchase or enquiries, please call 03-2331 8181 or send us a message for more info. *Price is including of 6% Service Tax. If you are planning a school field trip for a group of students, or planning to visit us with a group of 20 friends or family members, you will qualify for a discounted rate when you book your visit in advance! 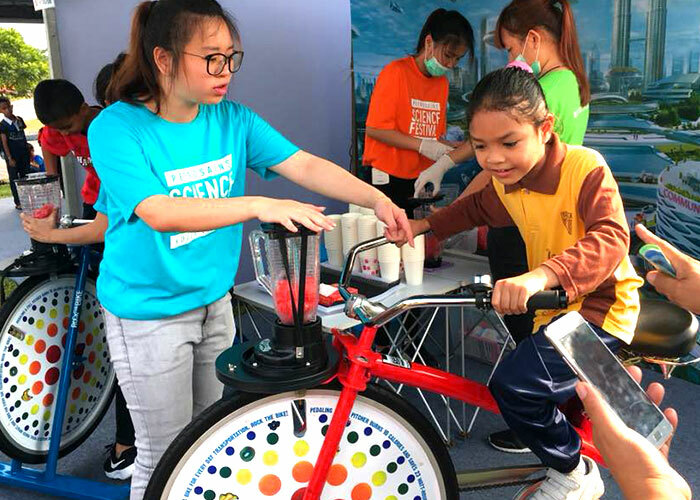 Bringing awe-inspiring science exhibits to the local communities. We believe that everyone deserves high quality science-related educational activities and programmes. 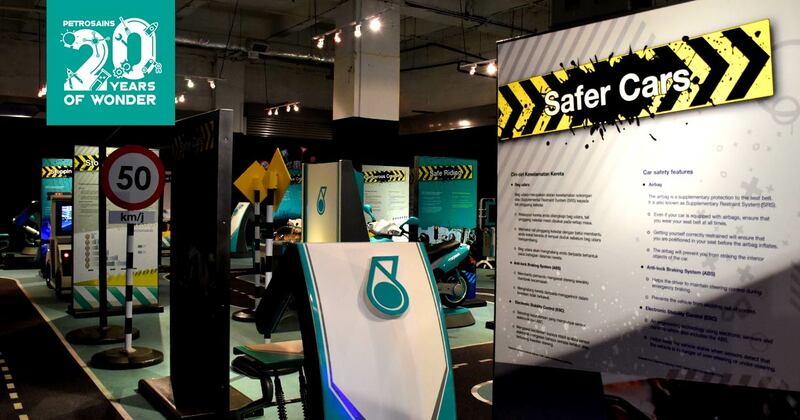 This is where Petrosains Playsmart comes in. 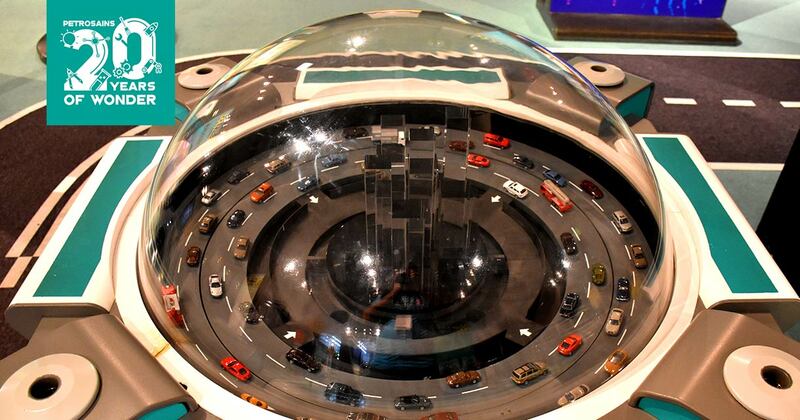 Petrosains Playsmart started small. Our first 2 centres, Petrosains Playsmart BKE and Petrosains Playsmart Langkawi opened in April 2003 and June 2003 respectively, both measuring about 1,500 sq ft in size. Over the years, we have evolved structurally and in our offerings. 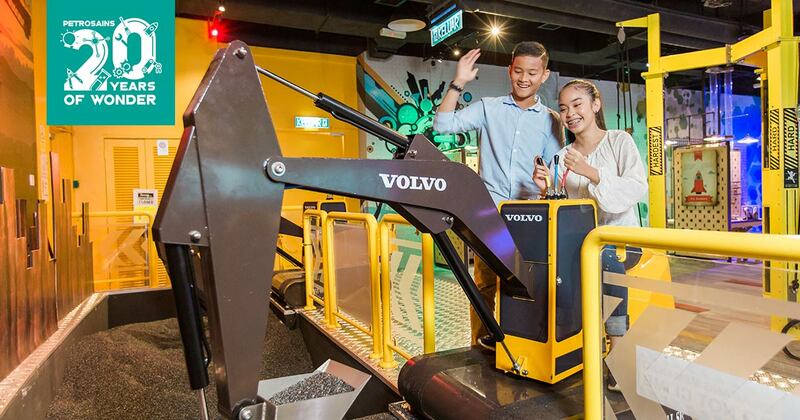 We now have three Petrosains Playsmart centres (Johor Bahru, Kuantan, Kota Kinabalu), each boasting around 3,500 – 9,000 sq ft in exhibition area size. Having started with a meagre number of programmes, we now implement 26 different types of programmes to cater to a wider spectrum of audience. 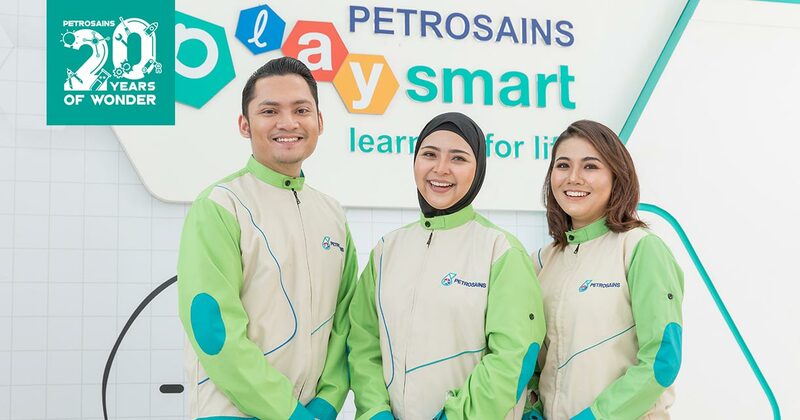 Throughout the years, Petrosains Playsmart established excellent working partnerships which have helped us develop and grow. Notable partners include Perbadanan Perpustakaan Awam Johor (PPAJ), Unit Sains Teknologi dan ICT Negeri Johor (USICT), Perbadanan Perpustakaan Awam Pahang, Perpustakaan Negeri Sabah, Ministry of Education, and the various State Education Departments who share the same commitments towards the community as we do. In the long run, we hope to bridge the gap between science and the community. 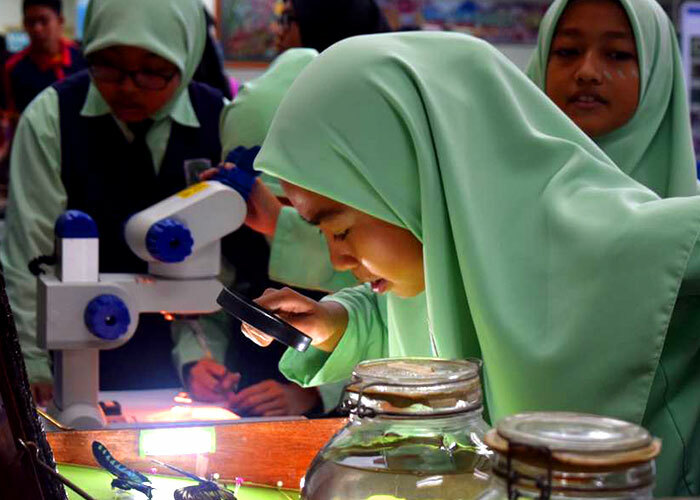 Petrosains Playsmart hopes that science does not only exist in schools, libraries, laboratories and the like, but lives prosperously in our everyday lives. •Application of science programmes in schools and the use of the hands on, minds on, and hearts on approach in everyday life. 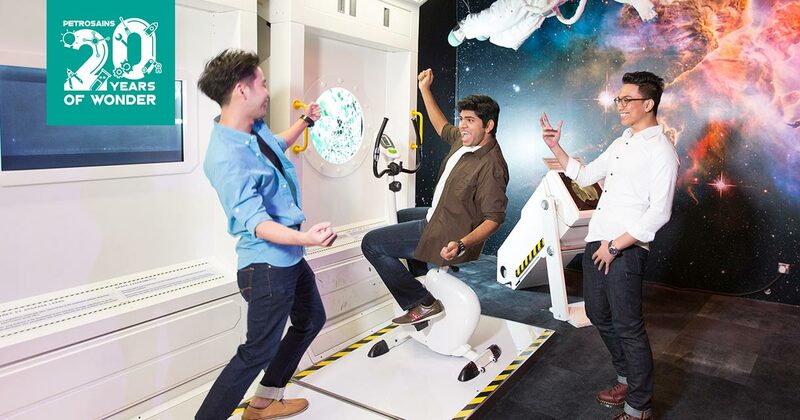 Unlock a world of possibilities at your nearest Playsmart centre. Wonder awaits! On the East Coast? Coast right through Playsmart Kuantan for an educational experience like no other! All down for a day out with science? We are! Join us as we bring the Petrosains experience down south to Johor Bahru. Science knows no boundaries. 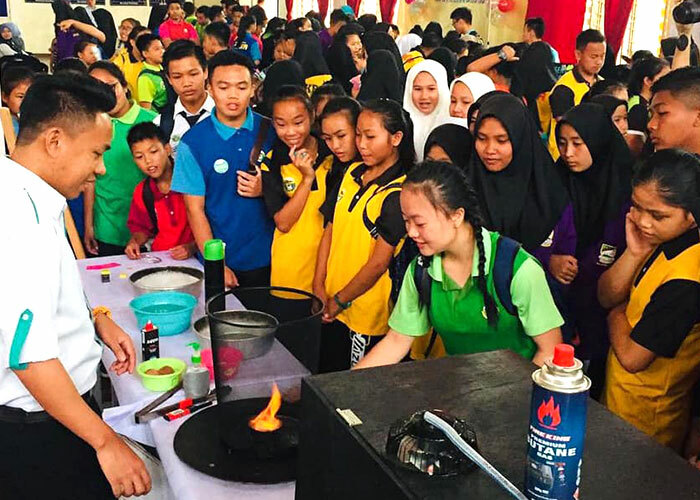 Petrosains crosses the sea to bring you Playsmart Kota Kinabalu. If you are planning a school field trip for a group of students, or planning to visit us with a group of 10 friends or family members, you will qualify for a discounted rate when you book your visit in advance!